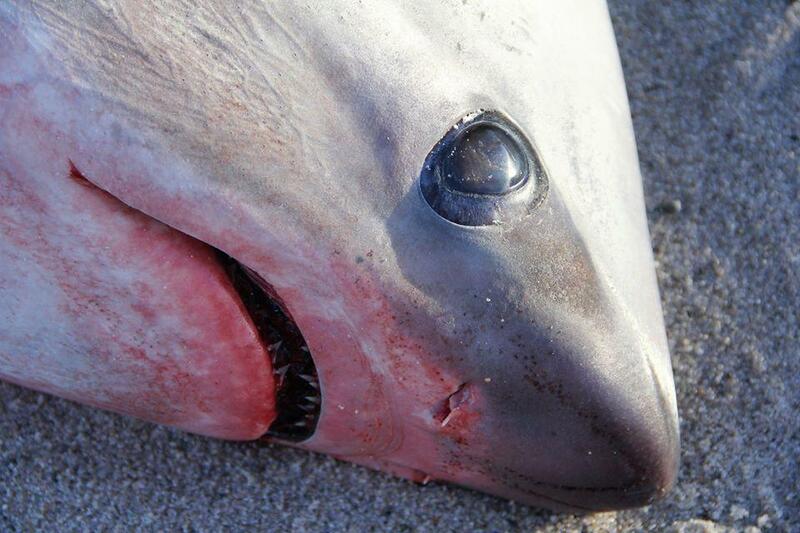 One of the thresher sharks found on Cape Cod Wednesday. Cape Cod conservation officials Wednesday found two thresher sharks that were likely stranded because of cold shock, according to the Atlantic White Shark Conservancy. The two male sharks were discovered on Skaket Beach in Orleans and Chipman’s Cove in Wellfleet, the conservancy’s program director, Michelle Wcisel, said in a statement. It’s not unusual for cold-shocked sea turtles to wash up on those beaches, said Wcisel. 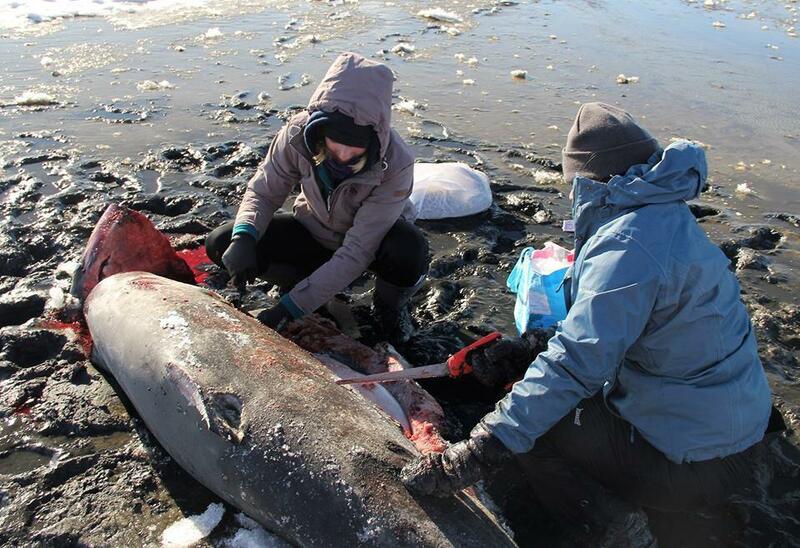 Wcisel could not say how common cold-shocked shark strandings are on the Cape. Freezing temperatures have gripped the region in recent days. In Boston on Wednesday, temperatures did not rise higher than 20 degrees, and forecasters said temperatures could dip as low as two or three degrees overnight. The two sharks were both about 14-feet long, their tails each about 6-feet long, said Wcisel. State and federal conservation officials, along with representatives of the conservancy, which helps fund shark studies, responded to the strandings Wednesday. Officials collected tissue samples and organs, which will be examined once they thaw, according to the conservancy. Officials responded to a shark stranded on a Cape Cod beach on Wednesday. Globe correspondent Jeremy C. Fox contributed to this report. Danny McDonald can be reached at daniel.mcdonald@globe.com. Follow him on Twitter @Danny__McDonald.